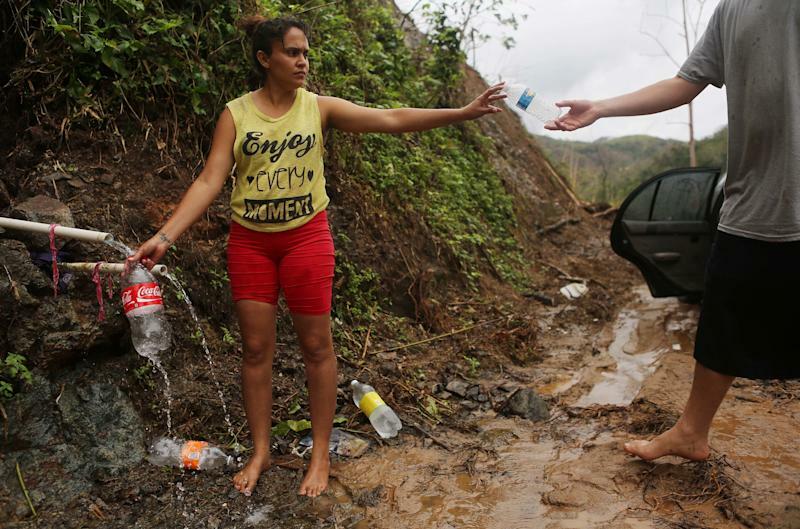 Americans in San Isidro, Puerto Rico, wait for FEMA to arrive with water. Their neighborhood has been without power or clean water for more than a month. 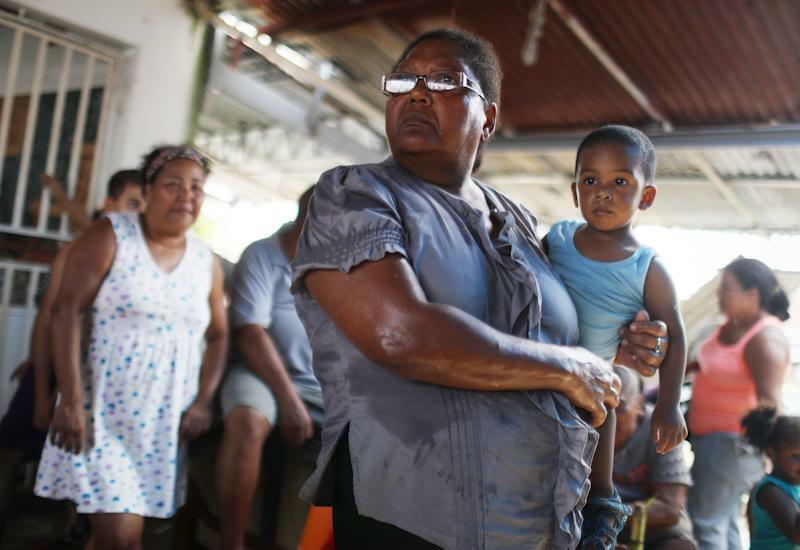 WASHINGTON ― Nearly 1 million Americans in Puerto Rico still have no drinking water, more than a month after Hurricane Maria destroyed the island. Some have resorted todrinking from wellsat hazardous Superfund sites. Others have been drinking water from creeks that sick animals have urinated in ― and have died as a result. President Donald Trump has given no indication that he is concerned. “I give ourselves a 10” out of 10, he said last week, when asked how he’d rate his response to the humanitarian crisis on the U.S. island. That’s led a group of unions and nonprofits to take matters into their own hands withOperation Agua, a new program to fund and deliver water filtration devices directly to people’s houses, schools and relief centers around the island. “We’re talking about getting 100,000 of these water purifiers into the homes of Puerto Ricans so they can filter their water so it’s safe for drinking, bathing and cooking,” Randi Weingarten, the president of the American Federation of Teachers, told HuffPost on Monday. AFT and other groups leading the effort, including Operation Blessing and the American Federation of State, County and Municipal Employees, have begun raising money to provide at least 100,000 individual water filtration systems and 50 large-capacity clean water devices for schools and community centers. They’ve already figured out how to deal with the fact that 80 percent of the island has no power: the Kohler Clarity filter, which uses gravity, not electricity, to remove more than 99 percent of bacteria in water. Weingarten said one of these filters can purify up to 10.5 gallons of water per day, which is the amount of drinking water needed by a typical family. Yanira Rios collects spring water nearly three weeks after Hurricane Maria destroyed her town of Utuado. It's not clear if the water she's collecting is safe to drink. FEMA and military personnel have been on the island for weeks, and they have helped to get bottled water to some communities. But Trump has come under fire for hissluggish response to the disaster, and there have been numerous reports ofdistribution problems. Some volunteer nurses on the groundtold HuffPost earlier this month that government officials have been hoarding bottled water at a central location and requiring people to come pick it up, versus sending workers into communities to deliver it. That has prevented some older and less mobile residents from getting any food or water, they said. Weingarten, who has helped with past disaster relief responses for 9/11 and Hurricane Katrina, was in Puerto Rico earlier this month. She said she drove around the island for 10 hours at a time, between towns hit hard by the hurricane, and was shocked by the “grossly inadequate” government presence. Want to chip in some money to help a fellow American have drinking water? You can donate to Operation Aguahere.